The Ginkgo Pages Forum - Blog: Gallifrey and Ginkgo? Hey there! That was *my* post. 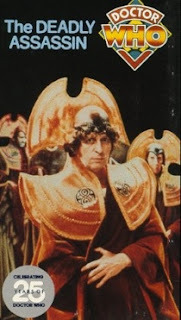 I think that the time-lord collars in the Deadly Assassin resemble gingko leaves. The spilt in the middle, the fan-shape. Do you not see it? Yes I can see it clearly.